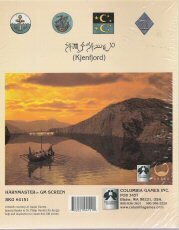 Harnmaster is the core rules compendium to the lush campaign "world" of Harn, and is a later add-on to the Harn campaign product line. * six convocations of magic. Both product number, ISBN repeated in 3rd Edition. 2nd edition repeats just the product number. So different editions will often end up being sold together in the used book market. Be warned. "At last — a sophisticated and common-sense set of rules for fantasy role playing. Finally — a rule system as good as the world of Harn. Harnmaster is the result of years of testing, development, and campaigning on the World of Harn. This fantasy world is quite simply the most logical, detaíled, and consistent product of its kind. Harnmaster reflects this quality. 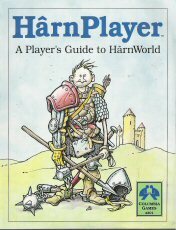 Although the rules are designed for Harn, they can be used in most fantasy envíronments. Of course many other systems have made similar claims, so you have every right to be skeptical. We also realize that adopting any new FRP system is a big commitment in your time and money. But if you are seeking rules that make sense, rules that operate on elegant and logical principies, rules that do not insult your intelligence, give Harnmaster a try. You will not be disappointed. The major features of the system are described below. FRP characters, like real people, do not spring into the world as adults with a few basic attributes. They mature in particular environments, acquire personal histories, and have distinct personalities. The character generation system pays lavish attention to such details. Thirty two (32) character attributes are covered. Harnmaster is a skill based system. More than 120 skills are used. Some skills are universal, some depend on social background, some are common, and some are rare. Skills are derived from character attributes to reflect natural ability. There are no character classes or other arbitrary limits on the skills characters may possess. The system opens up new dimensions in role playing; characters may practice occupations such as Herald, Mercantyler, Pilot, and Weaponcrafter. The Harnmaster combat system is dependant on weapon skills and battle experience, and provides players with many tactical options to control their combat destiny, Best of all, after two or three uses, players will find that the system runs quickly and smoothly, without burdensome paperwork. Harnmaster does not use "Hit Points". It generates graphic injuries such as bruises, fractures, and crushes to specific body locations. Injuries are rated to determine their effect on physical activity, and the amount of time they will take to heal. Harnmaster's recovery system is realistic and deals with bloodloss, shock and infection. The religious system operates on the Harnic pantheon of ten major deities. Rules for becoming a priest are given, and the system also covers the accumulation of piety for lay adherents and divine miracles. The six convocations of the Shek-Pvar are described. The rules explain how a character may apprentice in one of these brotherhoods of the "Guild of Arcane Lore" and, with talent and luck, become a powerful sorcerer. A selection of spells is given, but the system encourages sorcerers to develop their own enchantments. The bestiary deals primarily with creatures that are unique to Harn, such as the Gargun, lime and Ivashu. Statistics for bears, wolves and the like are also given. A detailed treasure generation system lists a profusion of enchanted artifacts along with more mundane items such as jewelry, written works, weapons and armour, etc." 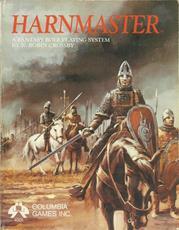 "This edition of HarnMaster has been completely rewritten, with an emphasis on ease of use and fun. The rules are presented in a modular format, with dozens of optional rules that allow you to customize your own level of detail. All pages are printed on cardstock for long-life, with extensive use of color. The pages are looseleaf and can be organized in a 3-ring binder just the way you like it." Same product number, same ISBN as 1st Edition. "HarnMaster is a roleplaying game that emphasizes character background and combat realism. Includes Character Generation, Skills, Combat, Psionics, Treasure & Artifacts, Campaigns, Encounters, and a Harnic Bestiary. • The rules are modular and looseleaf, with dozens of options to customize your game. • Pad of Character Profiles"
"BattleLust is a gaming system for mediaeval or mediaeval-fantasy miniatures reflecting the pre-gunpowder era of warfare. The game is designed for 25mm miniatures, but is adaptable to 15mm. Each miniature represents one warrior with his own physical attributes, weapons, and combat skills. BattleLust is designed for any number of players. Each player typically commands a company of about twenty warriors, but an experienced player can operate two or more companies. BattleLust is compatible with our role-playing HarnMaster rules. 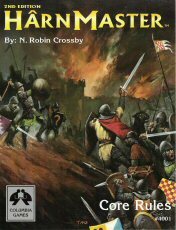 The game can be used as a quick combat system for HarnMaster, or you can use HarnMaster as a source of optional advanced rules for BattleLust. BattleLust includes 100 pre-generated Roster Cards, each detailing an individual warrior. These cards are designed to be inserted into two clear-vinyl Roster Wallets (also included). Roster cards provide a flexible approach to mustering units of men, and serve as a guide for players to design their own warriors." * a large full-color map (30" x 21") of the Island of Harn. Pilot: The Pilots' Guild, information on the Vessel Profile, and navigation and sailing rules. Crew: The Seamans' Guild, maritime ranks and jobs, crewing a vessel, and handling the Crew List. Shipwright: The Shipwrights' Guild, shipyards, details and illustrations of vessels, and rules for shipbuilding. Maritime Trade: Information on filling out a cargo manifest, and rules for handling maritime trade and cargoes. Port Almanac: A data base for about 400 ports, listing shipwright facilities, Pilots' and Seamans' guildhalls, port fees, market size, loading facilities and costs, and tides. CHARTS: This module also contains four charts. These are reductions of four regional maps: Harn, Ivinia, Shorkyne, and Trierzon." "INTRODUCTION: HarnPlayer is comprised of three parts. The first part, Harnview, is an overview of the geography, politics, economics, law, religion, and history of Harn. The second part is a Book of Common Knowledge, which covers the Harnic legends and folklore known to most folk. 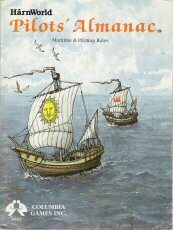 The third part is a players' Harnic Dictionary, a comprehensive alphabetical reference which players can use to look things up on an ongoing basis. The information provided is more than a typical player probably would know, but nothing that one should not know. No matter how much reading is done, players will still be ignorant of much that a medieval person would take for granted. A bit of extra knowledge of the world compensates in a small way and makes the game more interesting." "THE ANCIENT & ESOTERIC ORDERS of the Shek-Pvar have existed on Melderyn, the Wizard's Isle, and in other locales of Harn for at least two thousand years. The six orders are members of the Guild of Arcane Lore. Their traditional colors and symbols are shown on the Wheel of the Shek-Pvar. 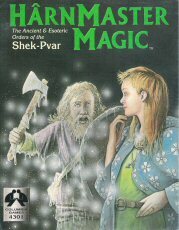 HarnMaster Magic is a new edition of our publication Tome of the Shek-Pvar. 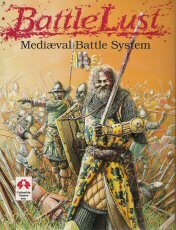 This edition been completely rewritten with an emphasis on ease of use and player enjoyment, but remains fully compatible with previous editions. 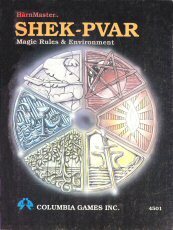 • Mage Character Generation: Extensive rules and background for generating and running a Shek-Pvar (mage) character. • Enchantments & Spells:A broad selection of enchantments and spells for each convocation. The new convocation skills and fatigue systems make spellcasting more entertaining and rewarding. • Enriched Magic: Optional advanced spellcasting rules. These include Cants, Gestures, Detection, Spellbinding, Memorization, Astrological Timing, etc. • Quality Production: This publication, like HarnMaster Core, is printed on cardstock with extensive use of color. The pages are loose-leaf and pre-punched for a 3-ring binder." "HarnMaster Religion is a second edition of Gods of Harn. This edition has been completely rewritten, and includes our new and expanded Religion Rules. Together, they offer a superb background for your epic RPG campaigns. 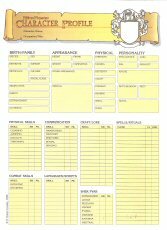 • Cleric Character Generation: Extensive rules and background for generating and running a cleric character for each of ten different religions. 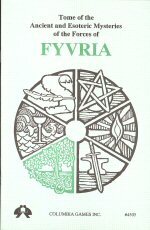 • Ritual Invocations: A broad selection of rituals (miracles) for each religion. There are common rituals known to all churches, and specific rituals for each. 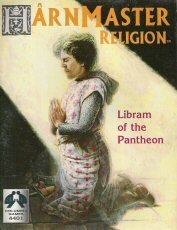 • Libram of the Pantheon: Each of the ten major deities is explained, with details on their mythos, churches, temples, rituals, and much more. 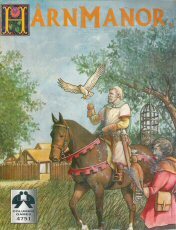 Villages: Rules to generate useful, realistic Hârnic villages, populated with a variety of serfs, freeholders, and craftsmen. Household: Rules to populate the lord's household. For most lords a rich household carries prestige and a penny saved is a penny wasted. Manor Budget: Rules to operate realistic medieval manors. Avonel is a microcosm of the deadly politics of Rethem. The fief is a ward of the Earl of Ithiko and a pawn in his struggle with the Earl of Tormau. The underage Lord of Avonel simmers while a rapacious bailiff steals much of the fief's wealth. Religious strife looms between an Agrikan and Peonian cleric. Clord is a manor on an island near Thay, recently granted to the Church of Peoni as an abbey and hospice. Most patients are lepers. The local serfs who work Clord's fields and otherwise support the church grow ever more afraid and many have fled the island. Roganter is a secular manor in Kaldor, held by a knight from the Archbishop of Larani. The nearby woods and hills echo to the sounds of miners and outlaws. Turenborg is a Jarin village conquered by the Ivinians. It was a hotbed of unrest during the Jarin Rebellion of 701-03 and the wounds of that conflict have yet to heal." The deep forests of Hârn are home to eighteen tribal nations. Although civilized Hârnians look down on them as backward, most tribesmen have more freedom and leisure time than manorial peasants. However, much of that spare time must be spent sharpening spears and fletching arrows because the tribal wilderness is a more dangerous place than the manor. 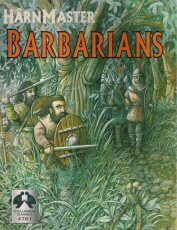 Barbarians: An overview of tribal culture, economics, and religion. 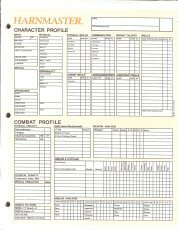 A guide to HârnMaster character generation for tribal characters is also included. Tribal Nations: A separate article for each of the eighteen tribal nations. Each article includes a tribal map, occupations, weapons and armour data, history, culture, and specific shaman rituals." "The ancient and esoteric orders of the Shek-Pvar have existed on Melderyn, the Wizard's Isle, and in other locales of Harn and Lythia for several thousand years, possibly longer. The orders, six in number, are members of the Guild of Arcane Lore. Recommended for all players with the wit and ambition to be real Shek-Pvar."